Home > Spotted > Ultima GTR Spotted in Qatar. 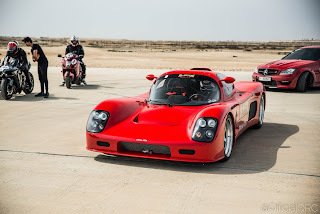 Ultima GTR Spotted in Qatar. We spotted Ultima GTR in Qatar Mile. And by our research and side talks with these clients in the Middle East it quickly ranked in the top five automotive Gulf’s heart stoppers if not the world! Ultima GTR is not your ordinary street car, a world record holder for the quickest accelerating and deceleration super car of all time and a multiple world speed record holder hailing from a fertile race car turf of Britain (the land where McLaren, Reynard, Williams all build race cars that win). Ultima GTR is a very rare car to spot and you could actually count how many times you have spotted a car so built to win with remarkable regularity. 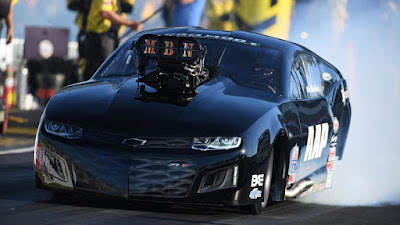 Spotting this V2 Performance assembled British import in Qatar was epic and site we still want to remember, a Chevy Small Box V8 that might top the dyno at 700hp with a capability to practically lift off from zero to 60mph in 3.3 seconds and will hit 60mph in 8.4s.